Ghost of Relativity <鬼同你OT> concluded its broadcast run last week and won the honor of being the highest rated TVB series year-to-date. 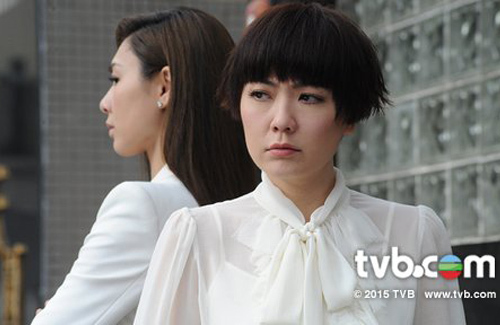 Although Kristal Tin (田蕊妮) has been acting for more than 20 years, she starred in relatively few comedies. To prepare for her role, Kristal admitted that she asked her husband, Chapman To (杜汶澤), for help.